Defra are asking for evidence on how well IFCAs have worked to meet their duties in the last 4 years (September 2014 to September 2018). 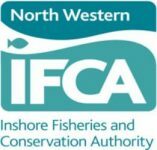 They are seeking evidence on how effectively and fairly Inshore Fisheries and Conservation Authorities (IFCAs) have operated between 2014 and 2018. The evidence gathered will be used to prepare a statutory report into the conduct and operation of IFCAs. To participate in the consultation please follow this link.